From the camp there are numerous opportunities for hiking, mountain climbing and mountaineering. To the west raises mountain Kotel 1175m above sea level and on the north 1070m high Koriška Gora. To the south, there is a 974m high Črvov GriČ on Šentviška planota plateau and on the east is 1303m high Kojca. The village Rut is seven kilometers away and above this village are spreading high mountains (Rodica, Črna Prst, to the west Žija and Vogel). Toward the northeast is the 1622 m high Porezen. Asphalted roads and paths are ideal for the various types of bikes and mountain bikes. Mountain bikers can go east from the camp to the village Bukovo, which is located about 4km away. From there you can turn right and up to steeply road which goes towards Šentviška planota plateau, if you turn west, you will come to Zakojca and then to the village Hudajužna. The road through Zakojca is partly macadam, on the Šentviška planota plateau you can choose different routes, because there are many possibilities. If you prefer asfalt roads, you can go to the south towards Soča valley, or you can drive up to the village Rut, which is directly above camp Koritnica. This road is very steep. From the plateau Šentviška planota, more precisely from Bukovski vrh, you can fly with a paraglide and about 500 meters from the camp is a landing place. The launch site is about 11 km away and the height difference is 500 m.
For all lovers of this adrenaline sport, there is Tolmin valley which is only 20 km away. From there you can go to the launch site Kobala above Tolmin city. Kobala is about 10 km air lines from the camp, the difference in height is 700m. Therefore, you can also fly to Koritnica. Runners can chose between macadam, asphalt and Mountain running routes. The road that leads towards the village Rut, it is channeled into the valley of the river Koritnica, where is pleasant cold in summer. A beautiful mountain route leads across the river Bača to the Bukovski vrh through Pušnik. If you prefer to run in the valley, then chose the way by the river Bača direction Grahovo. 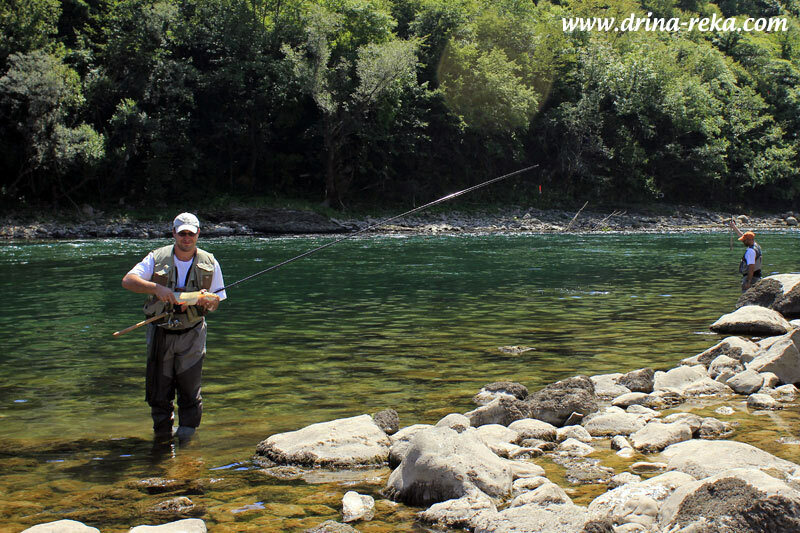 Near the camp flows Koritnica stream which is particularly delighted for fishermen and 500 m lower is river Bača. Baca and Koritnica rivers are real challenge for the fishermen. Dynamic river bed, waterfalls and still water, are places, where you can run away from the civilized world. Koritnica camp is located in the hunting area, which controls hunting family Podbrdo. In the surrounding forests live many different wild animals such as wild pigs, deer etc.